The Connecticut Association of Schools (CAS) is pleased to announce the selection of the 2017 Principals of the Year. Each year, nominations are accepted for the Elementary, Middle, and High School Principal of the Year awards. The winners are chosen by selection committees consisting of active and retired school administrators. Congratulations to these extraordinary school leaders! A twenty-one-year veteran educator, Armistead has served the Stratford public schools for the past nine years and has selflessly invested her expertise and skill wherever they have been most needed. In 2014, following four years of success as principal of Stratford’s Eli Whitney Elementary School, Armistead was hand-picked by Superintendent Dr. Janet Robinson to take over the then struggling Chapel Street School. 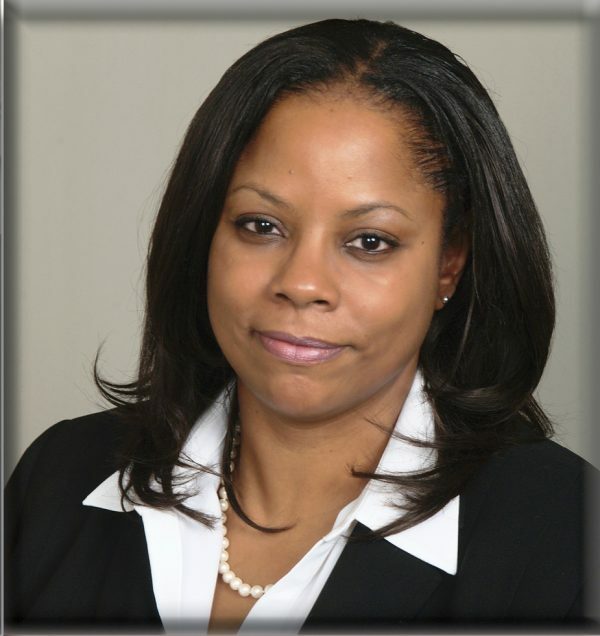 According to Fine Arts Coordinator Brian Frazier, Armistead’s “fortitude, bravery and determination” made her uniquely qualified to take on the challenge of rescuing a school that was plagued with a high principal turnover rate, low teacher morale, and widespread student discipline problems. Armistead immediately took steps to engage and energize her staff, introduce new instructional practices, and improve the social and cultural climate of the school. Thanks to Armistead’s influence and efforts, Chapel Street is now a vibrant, caring, student-oriented learning community where students can grow socially and emotionally as well as academically. Reading specialist Julie Bienvenu recalls Armistead’s arrival during a “tumultuous period in which extraordinary leadership was required” and credits Armistead with the school’s turnaround. “The staff and students at Chapel Street have thrived under her exceptional leadership,” says Bienvenu. Menard joined the EHMS administration as an assistant principal in 2009 at a time when the school was struggling with low test scores, high suspension rates, lack of leadership stability, a divided staff, and a negative public perception. He worked with his fellow administrative team members and key school leaders to turnaround the failing school, achieving a dramatic reduction in suspensions and chronic absenteeism, a marked increase in average daily attendance and a radical shift in public opinion. While once parents were refusing to send their kids to EHMS, now the school has a waiting list for its sixth grade program. Upon assuming the principalship of EHMS in 2012, Menard ambitiously embarked upon whole school reform initiatives with the goal of building a learning community predicated on transparency, accountability, equity and academic rigor. He has led the restructuring of the school into theme-based college learning academics; developed an assessment calendar with universal screens and common assessments; implemented a co-teaching model for all special education students; created a formal writing workshop; and designed a comprehensive Parent Engagement Plan to connect with all families. Through these efforts, EHMS test scores continue to improve; its graduation rate continues to increase; its academic offerings and enrichment opportunities continue to expand; and the level of stakeholder investment in the school continues to deepen. Principal of an urban school where 100% of students are eligible free or reduced-price lunches, Menard has succeeded in boosting the academic achievement of a diverse and challenging student body while at the same time improving the social and cultural climate of the school. Signs broadcasting the messages “Teach Like a Champion Today” and “Effort Matters” are posted outside of every classroom door. These are not just empty slogans but mantras that Menard promotes and practices each and every day. His now legendary morning announcements infuse the building with positive energy and inspire staff and students to higher levels of achievement and continuous improvement. Menard has achieved the distinction of winning both the Outstanding First Year Principal Award and the Principal of the Year Award. He received the first-year principal award in 2013 following a very successful inaugural year at EHMS. Since her return to Newtown three years ago, Rodrigue has been a catalyst for change both in her school and in the larger district. With the overarching goal of ensuring that all students have the opportunity to discover a college or career pathway that inspires their passions, she has spearheaded a number of successful programs which encourage innovation and authentic engagement. She introduced creative makerspaces, Project Lead the Way in Engineering, additional courses in the school’s Digital Academy, expanded arts offerings, professional learning communities (PLCs) for students, and a pilot capstone project for seniors. Her efforts have had positive and far-reaching effects which can be measured in the reduction in student failures, higher student investment in school-wide activities, and a consistently strong graduation rate. Always looking to develop talent in others, Rodrigue embraces the premise that an important function of leadership is to foster more leaders. 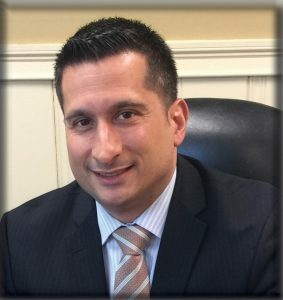 Described by Superintendent Erardi, as an administrator who “empowers others, builds capacity and values shared decision-making,” Rodrigue is a model of collaborative leadership. She always seeks out and carefully considers the viewpoints of all stakeholders — teachers, support staff, parents, students, and community members alike — inviting them to have a shared role in the governance of the school. Her monthly parent breakfasts have been a rich forum for idea sharing and have led to the implementation of several successful programs which have benefitted all members of the school community. The Principal of the Year Program, sponsored annually by the Connecticut Association of Schools, was established in 1984 to bring recognition to the principalship and to spotlight the important role of the principal in shaping the educational environment and experiences of children. The program recognizes outstanding school principals who have succeeded in providing high quality learning opportunities for students. These administrators have demonstrated excellent leadership, commitment to staff and students, service to their communities, and contributions to the overall profession of educational leadership. Each year nominations are solicited for an Elementary, Middle and High School Principal of the Year. The winners are chosen by a selection committee consisting of active and retired principals and assistant principals. Nominees for the award are evaluated in the areas of personal excellence; collaborative leadership; curriculum, instruction, and assessment; and personalization. Armistead, Menard and Rodrigue will be honored by CAS at the “Celebration of Distinguished Administrators” to be held on October 26, 2017, at Saint Clements Castle in Portland. Armistead will represent Connecticut in the National Distinguished Principals (NDP) Program sponsored by the National Association of Elementary School Principals (NAESP). One principal is chosen annually from each of the 50 states, the District of Columbia and the Virgin Islands. Principals representing private K-8 schools, Department of Defense Dependents’ Schools, and the U.S. Department of State Overseas Schools are also recognized. Public school principals are nominated by peers in their home states, and the final selection for each state’s NDP is made by the NAESP state affiliate (in this instance, CAS). The national recognition events will take place in Washington, D.C. on October 12-13th. They include special tours and activities as well as opportunities for professional dialogue among the principals. The two-day celebration culminates in a formal awards banquet. 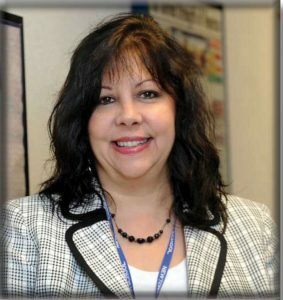 Dr. Rodrigue will represent Connecticut in the National Principal of the Year Award Program sponsored by the National Association of Secondary School Principals (NASSP). She will compete for the national honor along with principals of the year from each of the other forty-nine states, the District of Columbia, the Department of Defense Education Activity, and the Department of State Office of Overseas Schools. NASSP will recognize all state principals of the year at an Institute in Washington DC, September 24-27, 2017, which also serves as a forum for sharing their experience and expertise with each other, with national leaders in education and with federal legislators.